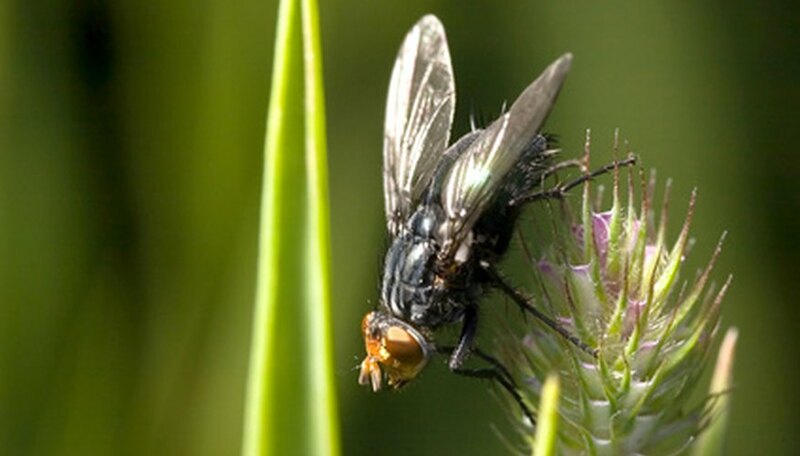 Considered by most people as pests, flies have many functions that are beneficial such as decomposers, soil conditioners, water quality indicators and pollinators of many plants. Not too many people know that flies aid in pollination just like bees, butterflies and wasps. Flies visit flowers for a number of reasons including eating the nectar and pollen needed for their survival and reproduction. Flies also visit flowers to lay their eggs. Often, flies visit flowers which emit a strong or offensive odor. Titan arum (Amorphophallus titanum), also known as “corpse flower,” is a carrion flower that has the world’s largest flower head measuring 7 or more feet tall and 3 feet wide. It presents a compound flower consisting of a spadix or stalk of male and female flowers, surrounded by a spathe, which appears to look like a single huge petal. When the plant heats up the spadix, it enhances the emission of the strong odor similar to that of decaying meat. Approximately 350 species of Dutchman's pipe (Aristolochia) exist today. Most species have ingenious insect traps and nauseating odor when the blossoms first open. The Brazilian Dutchman's pipe (Aristolochia gigantea) is a giant flower that has a maroon calyx-like corolla similar in size to a large dinner plate (11 inches across). Its orifice leads into an inflated, bladder-like trap that flies find attractive. Once trapped inside the pouch, the flies aid in pollination. Small flies attracted to Argentinian Dutchman's pipe (Aristolochia fimbriata) land on the erect upper calyx lobe and slip down into the inflated, pipe-like chamber below. Plants in the genus Stapelia, known globally as African starfish flowers or locally as carrion flowers, are small, spineless, cactus-like succulent plants. The flowers are hairy and generate the odor of rotten flesh. The color of the flowers is similar to rotting meat that attracts scavenging flies for pollination. Stapelia gigantea is large, starfish-looking, flesh-colored Stapelia species that can reach 12 inches in diameter. Covered with white hair, it attracts flies and maggots to its central orifice. S. gigantea smells like a rotting carcass and attracts green bottle flies in southern California. Other species that attract flies belonging to the genus Stapelia are Stapelia flavirostis and Stapelia asterias var. lucida. S. flavirostris has strange blossoms that look and smell more like a furry, dead animal than a flower while the putrid-smelling blossom of S. asterias var. lucida smells more like piece of rotting flesh that is hairy and star-shaped in appearance.